It was 57 degrees is my mountains this morning. (Yes, I like to think they’re mine.) The whole family put on sweaters, even if only for a little while. There is a distinct chill in the air that whispers of Autumn, of the Fall. Even though it’ll likely reach the 80s today, the humidity is gone, and the mountains are so starkly blue against the sky it looks as if someone drew them there with a felt-tipped pen. Happy as I am that we’re headed toward my favorite season of the year, I am tired. Pooped. Plumb worn out. Thank you, Oxford American Writer’s Thesarus. But seriously: I’ve been taken down by a 4 month-old. If you read along here, you’ll know that I’m a Clemson University alum and a life-long fan. Saturday we played (yes, I’m one of those people who say “we”) the University of Georgia from the big ol’ bad SEC. And won. My husband and I were at the game, and it was awesome. There’s really no other word to describe it. 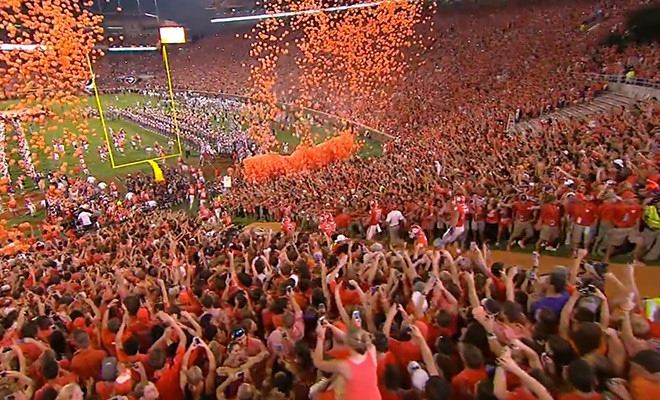 But when we got home, we found out that ESPN (it was Game Day at Clemson) had done this really cool lead-in to the Tigers “running down the hill,” a Clemson tradition that starts the game. Even though I grew up going to Clemson games, knew the alma mater and fight songs as soon as I could talk, had a great-grandfather who was mayor of the town, and went there myself, I’d never seen the lead-up to “running down the hill.” ESPN’s Brent Musberger coined the phrase back in 1985, and on Saturday he reiterated just how special this entrance is, saying it’s “one of the great college football traditions” and a must-see for any football fan. So if you can’t get to Clemson, check it out here. With the passing of Labor Day, summer has unofficially drawn to a close. However, lots of good things happen at the end of summer, like the last of the tomatoes blooming on the vine. I. love. vine ripe tomatoes. 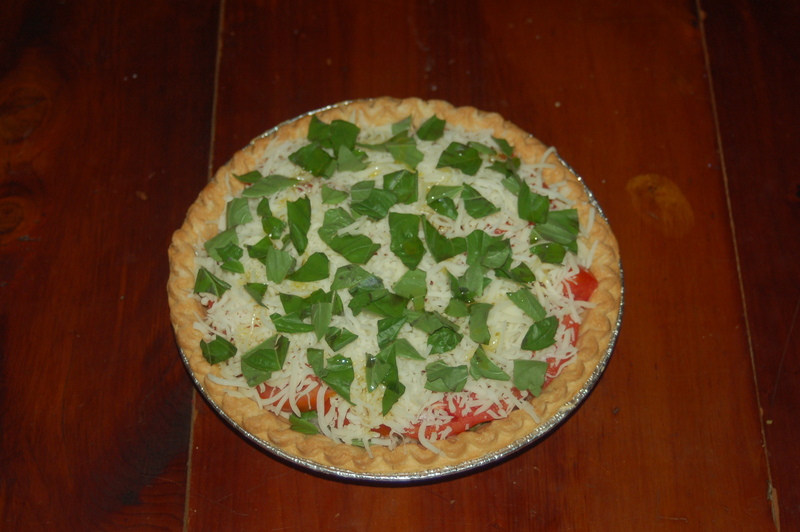 This was originally my mama’s tomato pie recipe, which I’ve tweaked over the years. Ummm, good. - Slice up your tomatoes and lay the slices on plates covered with paper towels. While you’re prepping, the water will soak the towels, leaving just yummy tomato. - Lightly brush olive oil all over the crust. - Dice up the garlic and sprinkle half over the crust. - Add a layer of tomatoes. - Add half the mozzarella. - Rip up some fresh basil and spread it over the top. - Repeat, and be sure to top with lots of basil (it’ll cook up in the oven). - Drizzle olive oil over the top. - Cook for 20 – 30 minutes at 350 degrees. Yuuuuuuum. So easy, and oh so good. 3.) My quote for the day, which I’ve sorely needed this week as I’ve done battle with Wilhemina the Conqueror (aka my teething baby). 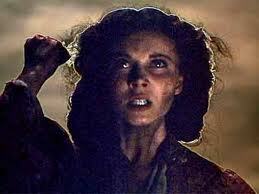 Yes, it’s bad to say “battle.” Let’s just say I’ve been battling her teeth. Of course, Ralph didn’t have a teething baby, a writing career, a neglected dog, a messy house, a traveling husband, and a post-pregnancy pot belly that just won’t go away. He took to the woods when he wanted to be alone. But it’s still a darn good sentiment. This entry was posted in Autumn, Bell Bridge Books, BelleBooks, Fall, family, Katherine Scott Crawford, motherhood, multi-tasking, quotes, writer and mother and tagged Brent Musburger, Clemson, end of summer, Katherine Scott Crawford, most exciting 25 seconds in college football, NCAA football, quotes, Ralph Waldo Emerson, running down the hill, Scarlett O'Hara, teething baby, tomato pie. Bookmark the permalink. 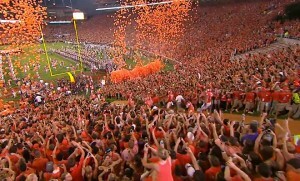 Words can not describe the feelings in Death Valley that night. It was incredible!! Thanks for the post Katherine!! GO TIGERRRRS!! It really was! Glad you liked the post Paula, and GO TIGERS!! !